I can’t believe it’s already September 16th! The time is just flying by. I have been busy working on clearing out clutter. I “KonMari’d” my kitchen cabinets and reduced the number of pots and pans that I needed down to something sensible. Seriously, I could have cooked for an army with what I had. I also cleared off the kitchen counters and the island. Feels so much nicer, I can breathe. Next in the kitchen will be two stand alone cupboards. They currently hold everything from recipe books, to food to dishes/utensils. Time to get them under control. So much to do and I wish I could just snap my fingers and have it all done, but it is a process. Anyway, on the crafting front, I’ve bought some Christmas fabric to make some Christmas tree skirts for my Etsy store. I need more prints but these will be the initial work out the pattern skirts. And they will be made and listed before the end of October as the goal I stated before. 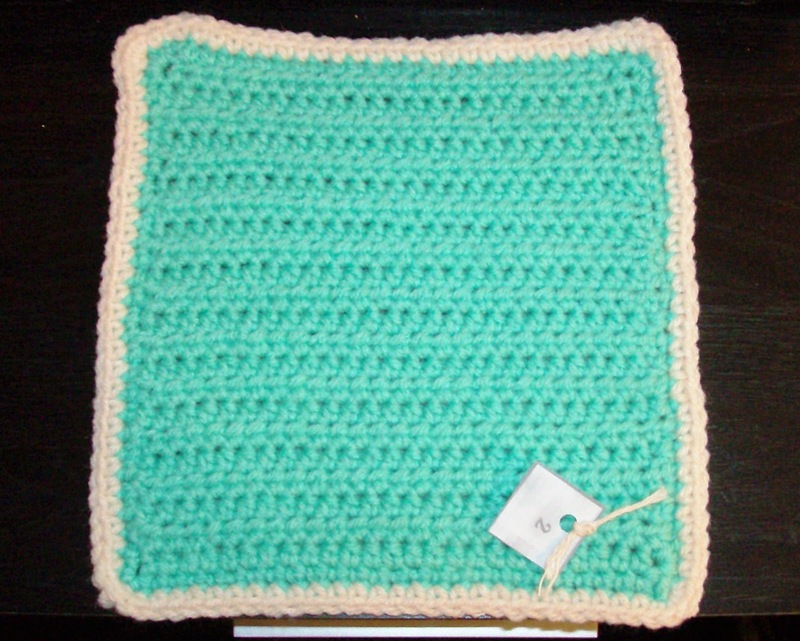 On the crochet front I finished square #2 from the “63 Easy-To-Crochet Pattern Stitches” booklet. I’ll be moving on to #3. I’ve decided to work them in numerical order instead of all one color, then the next. Should liven things up a bit. Also note, none of the squares are blocked yet, but they are coming out at the same size. That’s it for now. So much going around in my head that I need to bring out and into reality. Next Post Whoosh and it’s gone!